Illustrated with 140 line drawings & 50 photos. 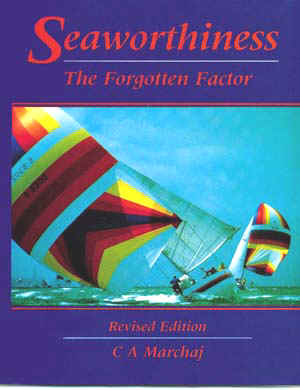 Seaworthiness, newly updated and revised, is a highly readable critical analysis of how the search for racing yacht performance has led to the development of sailing yachts with potentially dangerous seakeeping characteristics. Based upon the highest degree of practical and academic research, it demonstrates how modern yacht design often sacrifices safety for speed and for other considerations, and it maintains that dramatic changes in design philosophy are needed to prevent further loss of life at sea. This is a major work which will help change the thinking on popular design trends for both racing and cruising yachts.